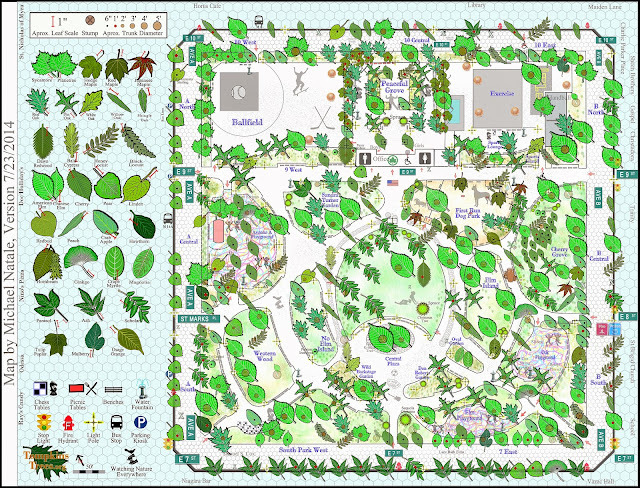 With the release of the NYC Street Tree Map by the Parks Department this fall, I wanted to plug the WSP Eco Map, a project of Washington Square Park Eco Projects, which shows the locations of the 200-plus trees growing in the almost 10-acre park. Washington Square Park is not the only city park with a map of its trees and natural resources, but it is rare among the New York City's 1900 parks and playgrounds. When I began exploring a tree map for Washington Square, I met with Michael Natale, who surveyed all the trees in Tompkins Square Park and created, without external funding, the map you see above. The Tompkins Trees map is beautifully detailed. Carl Schurz Park also has a print map of its trees developed by its conservancy. In case you are unfamiliar with the park, Gracie Mansion sits at its northern tip. Download the Trees of Carl Schurz Park here. 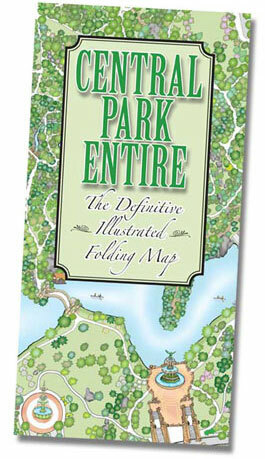 I own a copy of Central Park Entire: The Definitive Illustrated Folding Map by Edward Sibley Barnard and Ken Chaya. Barnard and Chaya independently researched, developed, and self-funded the map over a two year period. In addition to architecture and art, paths and trails, waterbodies, and rock formations, the Central Park map depicts all the park's nearly 20,000 trees. Learn about the mapping process in the Two Years of Mapping Central Park video or in this New York Times profile. The Central Park Conservancy has its own browser-based Tree Guide that can be filtered by species, general location, and attributes such as flowering and fall color. Although the High Line does not have a formal tree map, you can use its monthly bloom lists to identify showy-flowering trees as well as shrubs and herbaceous perennials growing in the different garden zones in the park. The Natural Areas Conservancy which works with the NYC Parks Department to protect, as the name implies, the natural areas in the city's greenspace portfolio including wetlands and open water, launched its Nature Map this year. You won't find individual trees pinpointed on the map but you will get information on park size and percent landcover type. For example, Pugsley Creek Park in the Bronx is 83 acres of which 12 acres is forest, 4 is wetland, 17 is grassland, and 27 is open water. I've heard that the Battery Park City Parks Conservancy (BPCPC) is geotagging all the plants and infrastructure components in its system. I look forward to exploring that map. In the meantime read the lists of plants, birds, and fish that inhabit the Battery City park system. Note that Battery Park City parks are owned by the Battery Park City Authority (BPCA) and jointly managed by the BPCA and the BPCPC. Researching this blog post I was surprised to discover that many of New York City's parks do not have a tree map, or if they do, the map is not locatable on the internet. It's a good feeling to know that two small downtown parks are among those that do (and the maps were not developed by conservancies). At 9.5 acres, Washington Square Park is a small park. According to City Parks Blog, the median and average U.S. city park are 5 acres and 54 acres, respectively. For a point of comparison, Central Park is 840 acres. For very small parks and playgrounds with a handful of trees, a map might be unnecessary. 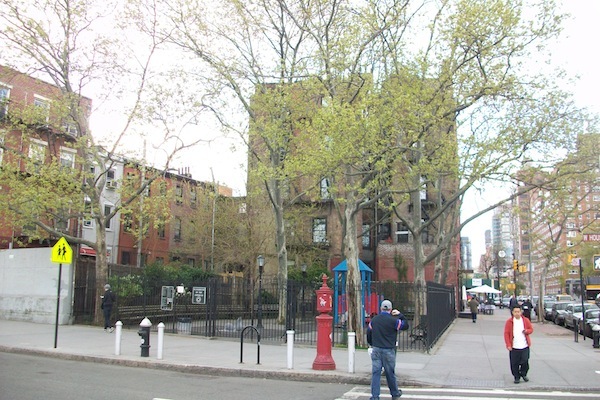 I profiled the trees in several such playgrounds in Greenwich Village for ioby's Recipes for Change blog series. Read the essays! Did I miss your tree map? If your NYC park (or playground) has a tree map in print or digital form and I did not mention it in this post, please let me know in a comment. Thank you. P.S. I Quant NY used the city's 1995 and 2005 street tree census data to create Are You in One of NYC’s Treeiest Neighborhoods? (hat tip: Keith Allison/NYU). I profiled Jill Hubley's NYC Street Trees by Species map which was also created using the tree census data. By the way, the 2015 street tree census used a mapping methodology created by TreeKIT. Thanks for this post! I did not know tree maps of NYC parks even existed. As a Northern Manhattanite this makes me want to create a tree map for some of the parks up here. I would really love to see a tree map of Inwood Hill Park since the forest there has been growing since before colonization. Could tree maps potentially be used to track tree health and determine which trees survive best in crowded cities like New York? Hi, Science Notebook, I'm glad this post inspired you to think about creating park tree maps where you live. I would say yes to your question. 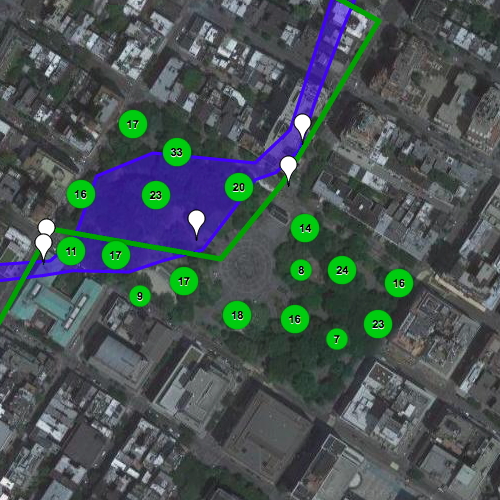 I know that Michael Natale tracks which tree death and removal in Tompkins Square Park. You might be interested in the rban Tree Growth & Longevity (UTGL) Working Group at http://www.urbantreegrowth.org/urban-tree-monitoring-protocol.html.